Truly livable communities include streets that are geared toward people moving, regardless of how they choose to travel. 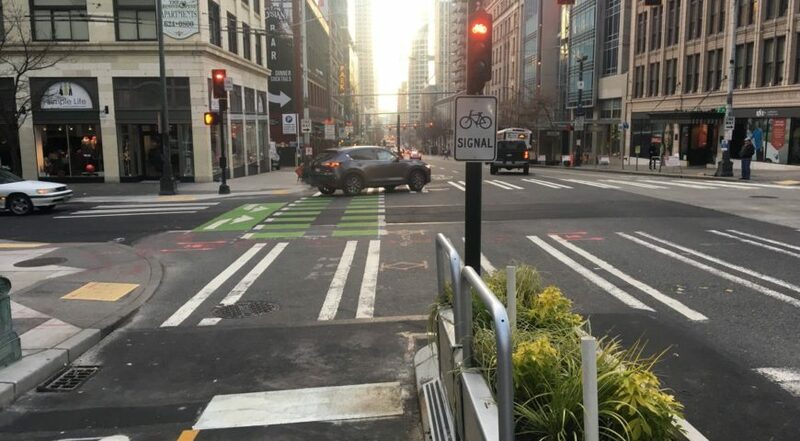 Often referred to as Complete Streets, these corridors provide choices for people who feel comfortable walking, bicycling, using public transit, or driving. Alta is a leader in the field of visioning, designing, and implementing Complete Streets. Alta designs and implements truly sustainable Complete Streets that move beyond the street as the sole means of transportation. Designing our communities for active transportation can make walking and bicycling a significant part of the regional transportation network, extending the reach of transit, increasing choices, and building ridership. Alta offers our clients a wide range of bicycle parking and support facility design services. We are well-versed in demand assessment and development policies, as well as the marketing and promotion of bike parking. Alta’s interdisciplinary experts have a wealth of knowledge and the ability to “think beyond the curbs” in understanding how to effectively use the street to create a place.